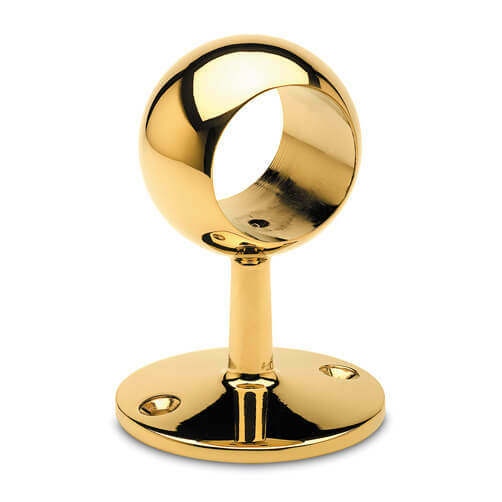 Bar railing bracket in a high quality polished brass finish with central through hole design for 38.1mm and 50.8mm Ø tube. 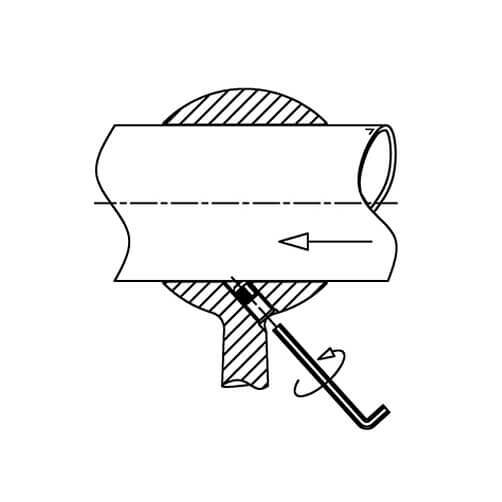 Bar railing mid post to accept 38.1mm (1.5 inch) and 50.8mm (2 inch) diameter tube, suitable for attaching to the upper side of counters and bars to provide a strong and secure grab/handrail support. Screw fixings supplied for direct installation on to hardwood surfaces. Quick and easy installation with the use of a few household tools. Tubular rail is held firmly in place using a grub screw mechanism situated on the under side of the mount. We would always recommend spacing bar railing brackets no more than 700 mm apart. Bar railing brackets should only be matched with similar design style, ie: Ball Pillar to Ball Pillar, this is due to differing heights between styles. 1. Start by marking the fixing position of the ball centre pillar and secure in place using the screws provided (you may wish to use your own screws dependent upon mounting surface). 2. Simply re-tighten the grub screw to secure tube firmly in position. To finish open tube ends neatly you can opt for a stylish End Cap or use a Ball End Pillar. 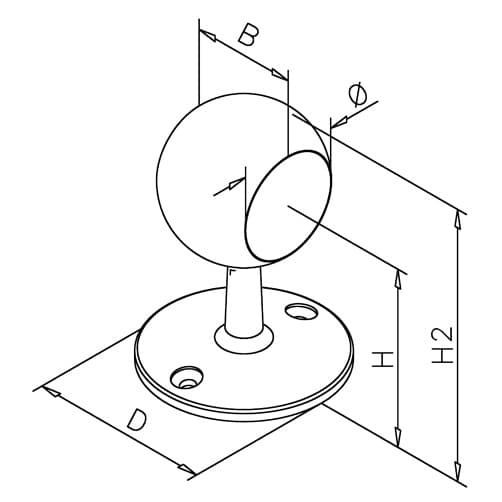 Ball End Pillar bracket support for bar railing.